Hump Day | Run, Lindsay, Run! I woke up at 6:45 to find it was rainy and gloomy this morning. Happy hump day! I set out to do an easy run, and found my legs were quite tired from the previous night’s track workout. Yes, I know a track interval workout of 400s and 800s is not exactly ‘marathon-speed’ training, but I need to start doing some sort of workouts (tempo, interval) and I need to start somewhere! Given my dead legs, I only logged 5.7 in Central Park. Did I also mention it started to torrentially downpour for a good 15 min in the middle of it? I actually don’t mind running in the rain, I find it calming. I just hate when my shorts stick to me and my shirt gets all heavy! But it was tons of fun jumping through puddles and dodging the small streams forming in the dirt on the bridle path around the reservoir. Afterwards, I tried to roll out my IT/hip on the foam roller. My glute has been pretty tight for a good month or two now, a self-diagnosed piriformis syndrome, and it’s making my right hamstring sore and my hip/back tight too. I went to my chiropractor, Dr. DeFabio, when I was home in NJ this past weekend and I got some scraping done with the Graston technique and it really loosened things up. But I guess I need another round, because 3 runs later, I’m all tight AGAIN! Have another appointment Saturday morning so hopefully one more round will kick it. So, another thing I wanted to try to do in this blog is track my eating in hopes to find a more nutritionally-balanced and wholesome way of fueling my active self! As I’m sure any post-collegiate runner now bound to a desk for 45+ hours a week will find, it’s not as easy to eat whatever you want and get away with it! I’m carrying extra 5 to 8 pounds to prove it. I was so much more active in college, between walking to and from classes, events, and having well over 3 hours a day solely dedicated to exercise (run, stretch, core, lifting, icing, etc.) Now I squeeze in my run before work (or after, if I don’t have plans and think I can leave at a decent hour) and practically dash in and out of the shower, ignoring all the extra good stuff’ I used to do that make all the difference. So, I’ve found that with this more sedentary lifestyle (despite still maintaining a good weekly mileage!) I need to be smarter about my food choices if I want to get leaner and stronger. I certainly don’t want to eat less, as I know I’ll need food to keep energized, but I want to eat better. I really enjoy cooking, preparing my own food, and bringing my lunch to work so this hasn’t been too much of a struggle so far. But, always room for improvement. Need to get better about portion control, mindless snacking, and trying new healthy foods. I won’t let the fact there aren’t any super-close locations stop me, I trek down to Union Square and now Chelsea (which is soooo much better than USQ!) I can’t wait till it finally opens on the UWS. I wonder when that is. 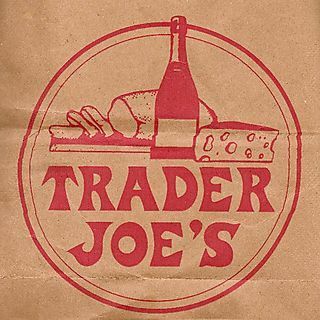 On Monday, I ran to Trader Joes in Chelsea…hey, gotta get in that mileage and grocery shop, right? Also need to keep remembering to take my iron supplements! During indoor track season my junior year, I found my race times getting slower and slower, and even easy runs were increasingly hard to recover from. I got my iron levels tested and my ferritin (measure of iron) was 8! It should be 30-40+ for athletes. 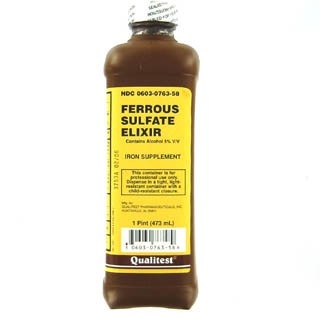 I had to take off the rest of indoor and outdoor that year to recover by drinking lots of liquid ferrous sulfate. My levels are back up (or at least I think they are…) but I’m trying to practice preventative medicine and take iron. Right before I started this post, I drank some liquid iron mixed with V8 Splash…mmm. That’s about all from me right now. Getting up around 5;55am for a 14 mile long-run, so need my sleep!